If history has told us something, it is the fact that generation-defining battles sometimes repeat themselves but just not in the way we might expect! July 8, 2007, Centre Court, Wimbledon Final. Federer in his gold-laced jacket and Nadal in a sleeveless shirt exposing his bulging muscles. Another clash of the titans and a chapter to be added in the history books. 3 hours 45 minutes later, Federer emerged victorious, bruised but as imperious as ever. It was this match that reminded me about this year Australian Open final. 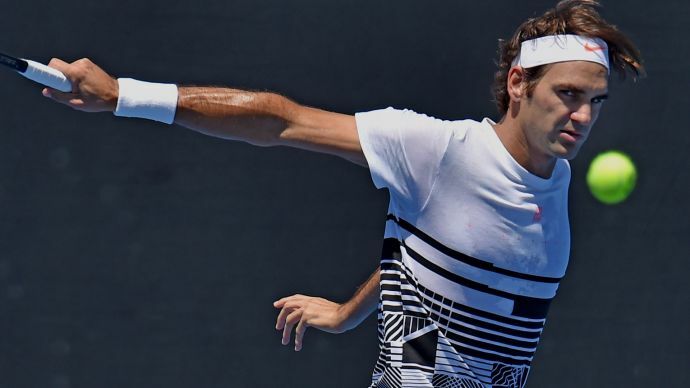 Federer, old but still full of confidence and appearing unbeatable, Nadal, rising but not at his best, and a five-setter epic that Federer wins. There are many such parallels between the two battles, as we will see shortly and that just might be the reason that another one, the one to battle the 2008 Wimbledon final, might be on its way. This year, at the Australian Open, we witnessed another Federer-Nadal epic, one that will be remembered for a rather different set of reasons. This was unlike many of their previous meetings. This time, both were veterans. Federer could almost qualify as being an old man on his last leg. But at the same time this match had some crucial similarities with the 2007 Wimbledon final like Federer unshaken even after being a break down in the fifth (Federer was twice down 15-40 in the Wimbledon match in the decider), taking his shots early and finding those lines as just Federer can, and stamping his authority on the match like nobody else can. Nadal, on the rise, making Federer play those shots all the while snapping at his heels, indicating that it will get difficult with time who hold him off. 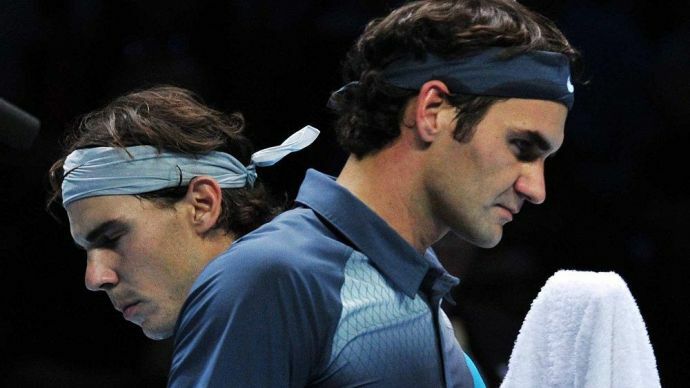 In both the finals, Federer reeled off consecutive games to sweep Nadal off the court. Do you see the similarities now? During the mid-2000s, Federer was the reigning king of the tennis world, with Nadal hot on his heels. During the early battles, Federer would often win on hard courts owing to his fast game, better sense and high confidence. As Nadal began to raise his game with each match, exploiting Federer’s backhand, the latter began to lose the one thing that made him make all those awe-inspiring shots with ease - his confidence. Of course, all was not down to Federer losing his confidence but also to Nadal’s relentless mental blows. He was someone who seldom made any fatal mistakes and did not allow any breathing space for his opponent. This year is quite similar to those early days. Federer, high on confidence, appearing imperious and godlike, with Nadal forcing his way with every grunt. I will try to prove my point by drawing your attention to one particular incident in the fifth set of Australian Open final this year. Federer made another one of his net plays but was passed by Nadal with a stunning shot. Note that at this point, Federer was down a break and it is almost impossible to recover from such a position against Nadal. But, after Nadal won the point, Federer actually gave a short applause in response. Just a year ago, these kinds of points would have severely dented Federer’s confidence. But here, it didn’t really bother him. In 2017, Federer made one crucial change to his game. He took the ball early to negate the threat of Nadal’s forehand. Federer is the best when it comes to timing the ball and he exploited this fact. Now, with little to no weakness in his game, he started playing like his old self - full of confidence. For an instinctive player like him - confidence is absolutely essential to winning any match. But enough about Federer. Let’s focus on Nadal here. Nadal, just like his old self, has been improving leaps and bounds with every passing tournament. While far below his best level, his defeat of Djokovic in Madrid Semis was a sign of a warrior coming back into his game. But at the Australian Open 2017, I would argue that Federer was in a far better shape than Nadal. Just like the early days. While many have been quick to label this as the last epic final we may see in our lives, I disagree. What any fan would want is another fight between the two stalwarts when both of them are at their peak and it is not off the cards. Recently, Federer revealed that he won’t be playing at Roland Garros. A sensible decision most would say. The clay court is very demanding and obviously, Federer would want to focus more on the faster courts. In leaving out Roland Garros, he stands a better chance at Wimbledon than most. Nadal, of course, has chosen to play at the French Open. He is the favourite here and could realistically beat any player if he keeps up his form. But it's Wimbledon that interests me the most. Remember how Nadal would win French Opens left and right with Federer as imperious as ever on the grass courts? Then came the two finals - 2007 and 2008. Federer was able to fend off Nadal in 2007 but couldn’t avoid the inevitable the next year. This year too, Federer is playing some amazing tennis but Nadal is not far behind. 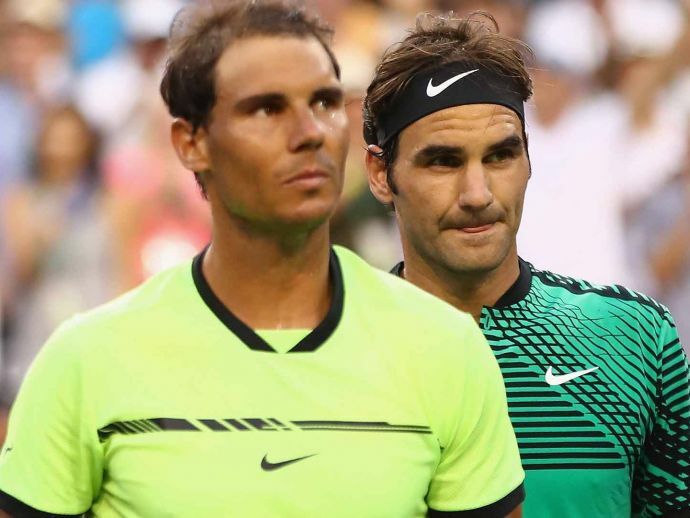 Just like in the early days, Federer could face a rising Nadal on his way. And the way Wimbledon draws take place, it is possible that we may see them again in the final. 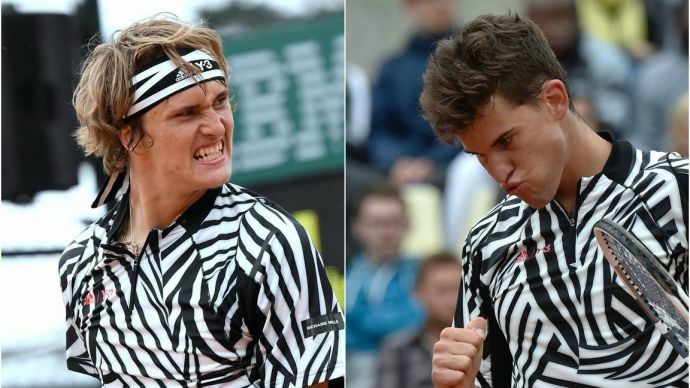 Newcomers like Dominic Thiem and Alexander Zverev Jr still lack the temperament to go deep in a grand slam. Djokovic hasn’t yet regained his form and Murray still seems unreliable. This just might be a perfect time. And looking from Federer’s perspective, he might want not want to retire before getting another Wimbledon title under his belt, seeing how much he loves the tournament and his own legacy there. The present day Nadal is wiser but hasn't made any major change to his game. 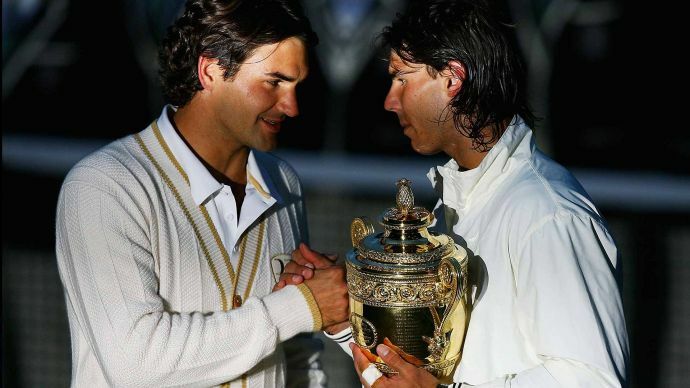 Last time, Federer could not hold Nadal back. This time, he has improved, he has turned his weakness - his backhand - into his strength. With experience on his side and age against, it's is difficult to take a call on the match, if at all it happens. One thing is sure though if history has told us something, it is the fact that generation-defining battles sometimes repeat themselves but just not in the way we might expect! It's strange how time and time again we fall on our face when we try to guess the future using past records. These days, each generation represents a drastic change that many fail to see. How could those who agreed that Federer and Nadal were beyond the ordinary rule them out? Again and again, they proved us wrong and we hope they do so one more time. 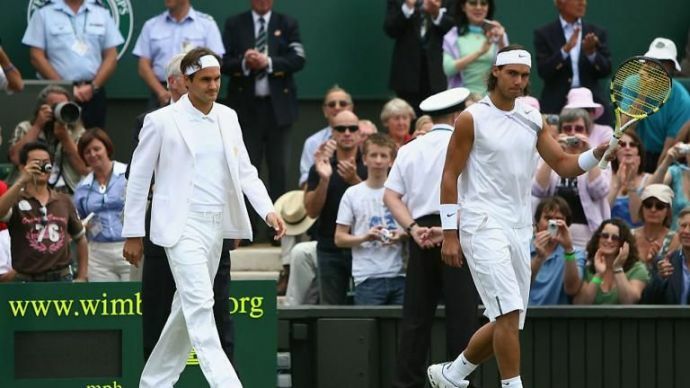 If everything goes well, we may get to witness history in the making this Wimbledon with a feeling of deja vu and the last 'hurrah' from these two might just ring the loudest in our ears! Disclaimer: This is just a speculative article with a large number of assumptions. I could be as wrong those who suggested that Rahul Gandhi will become the Prime Minister and Donald Trump will make America great again. I will not be responsible for any outrage, an outburst of emotions or deaths this article may cause. Thank you.